After questions of morality and proof that Splatoon's best players are naughty, our next Splatfest in North America is this weekend! The question? If you could time-travel, would you wanna go back in time to the past, or forwards to the future? Callie is on Team Past, and Marie is on Team Future. I think the answers and the reasons for why we'd think that way are clear. We like bathing in nostalgia, and we hate “springing forward” into the future with Daylight Savings Time. Daylight Savings Time is a complete disaster, and that's just going into the future by one hour. Imagine the complete cataclysm if we went ahead by hundreds or thousands of years! That's millions of hours! It's Daylight Savings Time on a scale we've never experienced before. We have no idea what the hell will happen in that time. 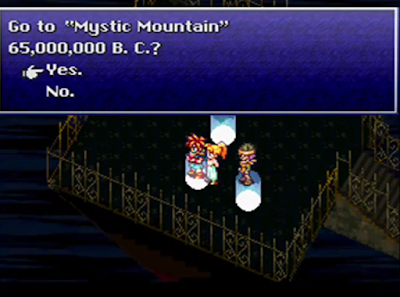 However, a lot of videogames give us an idea of what'll happen in the future. By comparison, we know exactly what will happen in the past because, y'know, it's happened already. Enough time has passed in the course of existence that, if we can pick and choose which parts of the past we'd like to visit, we can undergo a huge variety of experiences and be seen as royalty for our prophetic knowledge of the future. Just be warned: We can only go back in one direction, since you can only be on one team. At least if you go to the past but not too far, you'll eventually get to the present era if you miss it. If you go to the future, you can't come back to the present... only deeper into the future. Let's start! There are a variety of videogames that have their settings in apocalyptic near-futures. These include Tom Clancy's The Division where a pandemic infects everyone on a future Black Friday, and Capture the Confederate Flag where Hillary Clinton destroys the Southern United States. It's also the basis for like... every Fallout game. In none of these is the future a hospitable place. Is it a certainty that the future will be a crappy war-torn place? No, folks can stop that from happening through their actions in the present. It's just, if you go ahead and travel to the future, then you won't be around to have those present actions happen. You'll be abdicating your duty. Chrono Trigger knows what's up here. 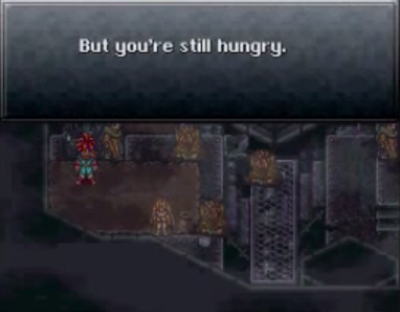 According to Chrono Trigger, the future in 2300 AD is an extremely bleak one. You can just hear how bleak it is. There's no more food left, and people live in these drab futuristic domes, which are glorified huts. Humanity needs to stick to living inside those domes because outside there are mutants and robots that ruin your day and end your life if they get the chance. There is also a lack of hope. The Enertron restores your energy, but doesn't fill your tummy. While in the past you'll be treated as a prophet, if you choose the future you'll be treated as a delinquent low-information dumbass. Everything you know will be completely outdated and wrong. You think you're smart now? You'll be a know-nothing then. Like you lived in a cave for centuries. There will also probably be some sort of nationally-checked database set up by statists, and you won't be on there since you wouldn't be born (unless they just don't take people off after they die). So you'll be treated like you're an illegal immigrant and deported to some hellhole, unless whoever is running the show at that time doesn't give a crap about illegal entry. So even if the future ISN'T apocalyptic and is actually pretty cool, no one will ever respect you and you'll be an outcast. Unless the future is the one from Idiocracy, then yeah you'll be the smartest person there but it sure won't be a cool place. Team Past can do tons of cool stuff. And remember, the best itinerary is to go from the most recent to progressively further back in time. How far you want to ultimately go is up to your risk tolerance and wanting to get back to present time. You can relive your nineties kid dreams and just rerun the 1990s over and over again in a loop. Pretty stable and happy time, and since you know it'll end with the stock market crashing you could short-sell the dot-com bubble and make a fortune. Maybe they'd try to investigate you for insider trading afterwards, so take precautions. At least there are still videogames here, and they're fantastic, too. Living standards are great as well! Crisisboom made this graph. We're just replicating it here without their permission. You can travel back to the late 1800s or early 1900s to try to stop the Federal Reserve and the national income tax from forming. That said, when you time-travel, be sure to bring your United States Dollars! The dollar has lost over 95% of its value since the Federal Reserve was created, so your dollar will be MANY times stronger then than now! Therefore, if you take your life-savings with you, you'll be super-rich in their times and maybe afford a good standard of living? You also wouldn't have to worry about being investigated or background-checked, since the surveillance state hasn't been invented yet! That'd be cool. Speaking of cool, go visit the Roaring Twenties managed by Calvin Coolidge! (Not chronological order but whatever.) Nice limited government guy, and lots of prosperity for folks. Don't go if you don't like the whole Prohibition on alcohol taking place, though. You're probably not even old enough to drink, and some states completely prohibited drinking prior to Prohibition anyway. Some states even had unequal rights for people, so that might bug you. Honestly, you could just buy yourself rights with your money. You can go back and talk to your famous historical figures about whatever, if you think you can get access to them. Thomas Jefferson might be really busy, but Oscar Wilde would probably let you in (before or after he gets arrested). I only recommend doing this if you don't care about getting back to the present era, and if you have a desired time to fall back to after you visited everyone since you shouldn't really plan on living in some crappy time period the rest of your life just to talk to one dude. If you really want, travel back to the glorious days of monarchy, like to 600 AD! The background music is much better there than in the future. Some folks might call it the Dark Ages and the standard of living for a person in poverty today was higher than the kings at the time, but it's probably just underrated. Apparently, reptiles and humans co-existed (but were at war) at this time, with reptiles clearly being the smarter species. And hey, I might be biased here, but I say that's still true to this day. 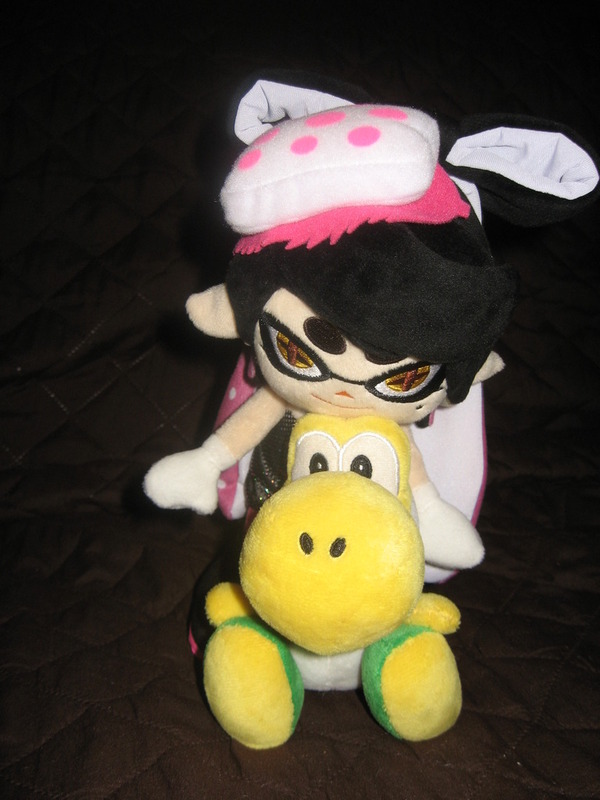 Callie riding a yellow Yoshi. If you want to time-travel back to pre-civilisation, I strongly suggest you reconsider. There will be no one to save you. 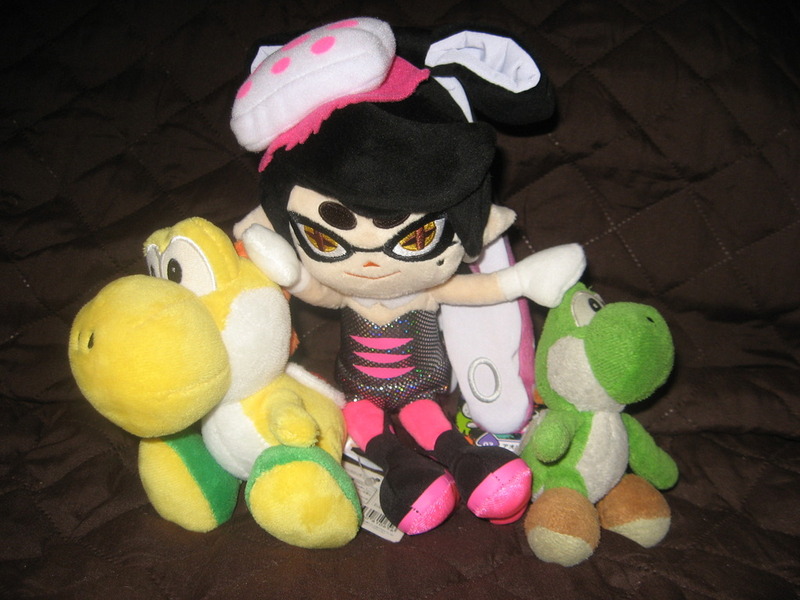 The Yoshis would later end up swallowing Callie whole. And you won't be able to get back. So stick to civilised history and don't try to go all the way back to see G-d's presence in the physical world. You'll probably get burned or something, especially since He'll know you're there trying something suspicious. That ended on a downer note for Team Past, and it's true that there were a lot of generally crappy moments in history. Thanks to the marvels of capitalism and markets, the standard of living for the world has increased at an unprecedented (historically-speaking) rate. Unfortunately, depending on the actions of people at this critical point in the present, we may begin reversing that. In that case, Team Future will have nowhere to go! But as long as you see Team Past as Team Recent Past, there's no harm in re-living out the awesome days of our youths. Except you'll be at your current age. Hey, you can see what the 1980s and 1990s are like as a kid, an adult, and an elderly person! Get all those cool perspectives. Just promise to save 'em all in different save files, okay? Ludwig already received a Team Past t-shirt from Inkopolis, with a cool-looking dinosaur that might've been his ancestor. But the dinosaurs might not take kindly to their shelled descendants, so Ludwig is in no rush to visit 'em. According to a report from a squid with Ludwig's hair, the future will be ruined by the Environmental Protection Agency and water will be hazardous. The fate of the future is at stake with a Hillary vs. Trump election. There's my pics! Yay! Who said that the time machine can only be used once though? As long as no one damages it why not go back to the present with it right afterwards? Because you'd be going into the future, and you can only choose Team Past or Team Future. If I travel to 1996 and stick around for a week, and then want to go back to 2016, I'd be going into the future (comparing to 1996). The new state of reality after you time-travel is whatever year you're in. 2016 becomes THE FUTURE once you're in 1996. Team Past isn't allowed to time-travel forward (or else they'd be double-dipping), and Team Future isn't allowed to time-travel backward (or they'd be double-dipping). Time only naturally moves forward, so I think Team Past is better off here. You can, however, go from 2016 to 1996 to 1986. Or 2016 to 2017 to 2300. I wonder if there are any Ayla Miiverse posts. 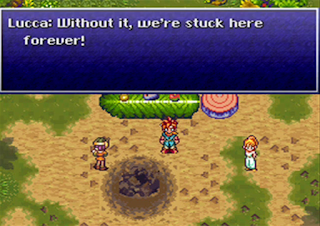 She is my favorite party member from Chrono Trigger. I always liked the unusual characters in JRPGs and she is anything but the usual swordsman or female mage. If there ain't, maybe you should get on that. Okay I'll contribute by making a Miiverse post sometime. But when is the best time? My stuff doesn't seem to show up in the plaza and I sometimes have decent success in contributing to the community itself rather than ingame. Well "sometime" was apparently "immediately after this comment" for you. I got inspiration and when you get inspiration for art it is hard to deny it because then I may lose motivation. If I get in the 2 digits I usually call it a success. But normally I am happy if I get noticed at all. Also that hair took a long time to do. Ayla's hair is her distinguishing feature (for her headshot anyway) so makes sense. I don't think that doing a drawing at midnight is really gonna get attention though. I got nearly 100 yeahs for my Risky Boots one and that was around the midnight time as well. My Big Hero 6 post for Team Marshmallows was also done around then and got around 60 yeahs. Both were ingame though. I also did not play any matches afterwards for them. Now for some reason my ingame posts are barely getting yeahs no matter what time I post them except Sunday morning for some reason and that goes for both ingame and on the regular community itself. But what if I don't have an idea for that then? Now I mainly draw for my followers/friends and if I seem them giving a yeah or commenting, it makes me happy enough. Everything else is a plus. Yeah, the whole in-game thing is key. We discussed this before, and I really dunno wot's driving these in-game algorithms now. "...when you time-travel, be sure to bring your United States Dollars!" Yeah, or, ORRR get the winning Powerball numbers, go to January 12, and put in the numbers! Boom, easy money!! "So even if the future ISN'T apocalyptic and is actually pretty cool, no one will ever respect you and you'll be an outcast." An example done right: https://www.youtube.com/watch?v=KMy1zO8m8sM What we see as gorgeous today can be considered a "baby's toy" tomorrow. "We can... be seen as royalty for our prophetic knowledge of the future." Or for our diverse skill sets! Another example done right here: https://youtu.be/zZJ7cq6T3v4?t=42s Heck, the main character even captured the interest of her 1950s mother (if you can't tell, I REALLY like the "Back To The Future" series)! Finally, a little note from myself: It's a lot easier to travel to the future than to go back to the past. Traveling to the past takes a lot more considerable effort, and as of yet, doesn't exist to the public! However, if you want to travel back to the present from the past, you have the option of being frozen for months or centuries to return where you once were (or some good old sleeping and waking up). Scientifically speaking, having a blast to the past is the better option! That money isn't as easy as it seems! It'll bump you into the highest tax bracket and the government will confiscate a large chunk of your winnings and income. But yeah, your interests will be seen as waaay outside what everyone else's are. How are you gonna socialise with anyone if you like those crappy so dated videogames you play on a screen? We play them in our heads. Or maybe people will just be connected to machines the whole time and live some virtual crap. Like the Yu-gi-oh! Virtual World or something. So scientifically, it's better to go to the past? 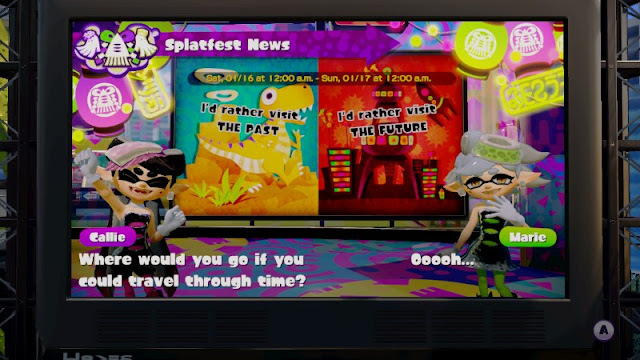 Weird, since Team Science Marie is on Team Future here. Then take the Cash plan, and travel even FURTHER to the past to get the most bang for that Powerball cash. After all, "The dollar has lost over 95% of its value since the Federal Reserve was created, so your dollar will be MANY times stronger [in the late 1800s or early 1900s] than now!" That, or take the Annuity plan and travel to the future. The next thing you know, kids will literally be playing video games in their sleep! Technology keeps going forward, where the previous generations will be seen as slow, and those before worse. That is, until the apocalyptic future comes where robots can have a sense of life and consider themselves the master race (and cause an extinction to all organic life). Splatfests haven't always been consistent. A quick example is Marie representing Team Decepticons, and Callie being chosen for Team Naughty. ...I feel like sleep-based game design would be a major challenge! Well, yeah, that's to be expected. Maybe you guys will be lucky and they'll repeat one of America's again. In America, Cars-Planes popularity was 36-64. Since car ownership is much less in Europe, the popularity difference would be even greater. Since there would be more adults without cars in Europe than America (the win difference was 54-46) the win difference would probably be closer since more adults would be on Team Planes. So maybe it'd be closer...? People don't own planes in America either, but a lot of people still preferred to ride them as passengers. Yours truly adores his Doomship. How will you have a better chance of winning the lottery in the future?